He hadn’t seen his friend in many months. When Dr. Perry Jansen came into the hospital room, he saw his Malawian friend—emaciated and ill— a stark difference from when he last saw him, only months before. Daily, Dr. Jansen was seeing patients in the hospital die from the ravages of HIV, the epidemic that was taking its toll on Malawi, and in many countries on the African continent. Now, the epidemic was touching him personally, through the gravely sick man sitting before him. “Mulungu angathe, angathe, angathe Mulungu angathe salepher,” Dr. Jansen sang. God is able. He never fails. His friend passed away a few days later. 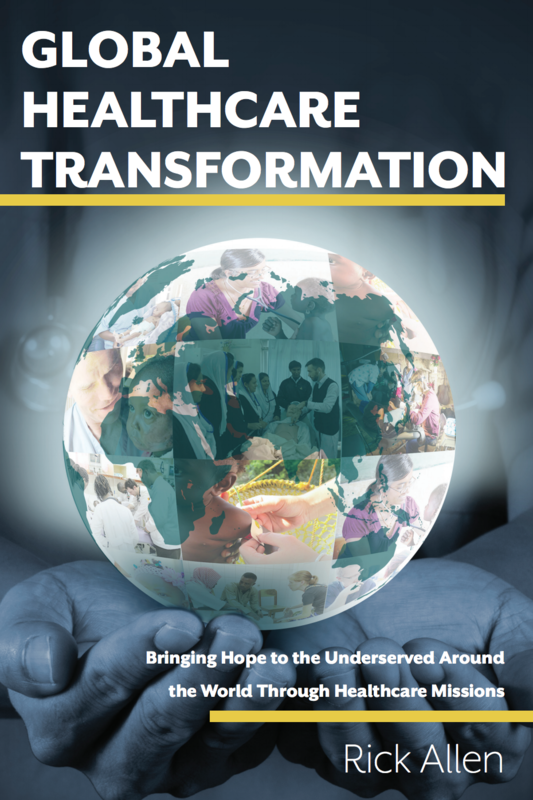 Give to bring transformational hope to the world. Christ’s love, in word and deed. Perry Jansen, a healthcare missionary and MedSend supported physician, moved his family to Malawi in 2000. After witnessing the critical lack that the Malawian healthcare system was suffering under the sheer volume of patients, and the absence of adequate resources to treat them effectively, the death of Dr. Jansen’s friend served as a catalyst which ignited Dr. Jansen’s work for the next 16 years. 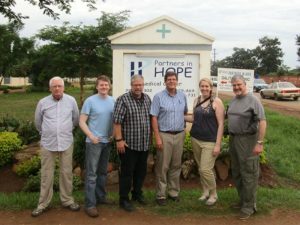 In 2001, Jansen founded Partners in Hope, a non-profit organization which seeks to address the health care issues in Malawi. In 2004, Jansen, through his organization, established a health care center that grew from a clinic into a hospital. He worked with the Malawian government, USAID, and other entities to establish the healthcare facility as well as an effective distribution of HIV medications (anti-retroviral) treatment drugs to the poor. In 2003, less than 2000 patients were able to receive these meds. By 2014, thanks to the work of Dr. Jansen, more than 500,000 HIV patients were receiving the treatment they needed. His interest in serving the poor and training new African doctors were the primary goals for the clinic. In 2016, Jansen left Africa, but before he transitioned back to the U.S., another MedSend grant recipient physician, Dr. Barrett Jones, joined him at the hospital. Jones eventually became the medical director, and oversaw a Malawian staff, and led the effort to place the center under national leadership. Dr. Barrett Jones with a young patient. Tigwirane manja (Let’s Hold Hands). In addition to the medical team direction, Jones worked to establish a trauma healing program for HIV patients, who often struggle with tremendous challenges as they cope with their diagnosis. As a part of the community outreach (known as Tigwirane Manja), the medical team formed support groups for patients who are living with HIV. “[There are] currently have 20 support groups meeting in various strategic areas surrounding PIH,” Dr. Jones reports. Led by fellow patients who have demonstrated good compliance with their HIV medications, a good understanding of the illness, as well as the ability provide counsel, these support groups provide a critical medical, emotional, and spiritual lifeline to patients living with a diagnosis that can be so debilitating in numerous ways. 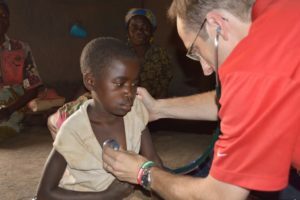 Following behind Jansen, Jones continued the bolstering of Malawian health care, expanding opportunities for the medical center to offer much-needed holistic, Christ-centered care. Dr. Jansen established a self-sustaining legacy in healthcare that will continue to inﬂuence Malawi for generations to come. His passion to impact the HIV/AIDS epidemic with compassionate Christ-centered care had huge results: the hospital he founded now has over 1,000 staff members in 9 districts, caring for over 200,000 HIV patients. Two MedSend grant recipients, in a country with few resources, bring the transformational hope of Christ to thousands. God is calling us to join Him in His healing work. We believe that it is His transformational hope, provided through global healthcare missions, will succeed in meeting physical and spiritual needs around the world. Consider giving to bring the gift of transformational hope. It is easy to support the work of grant recipients like Dr. Jansen and Dr. Jones: find out how.